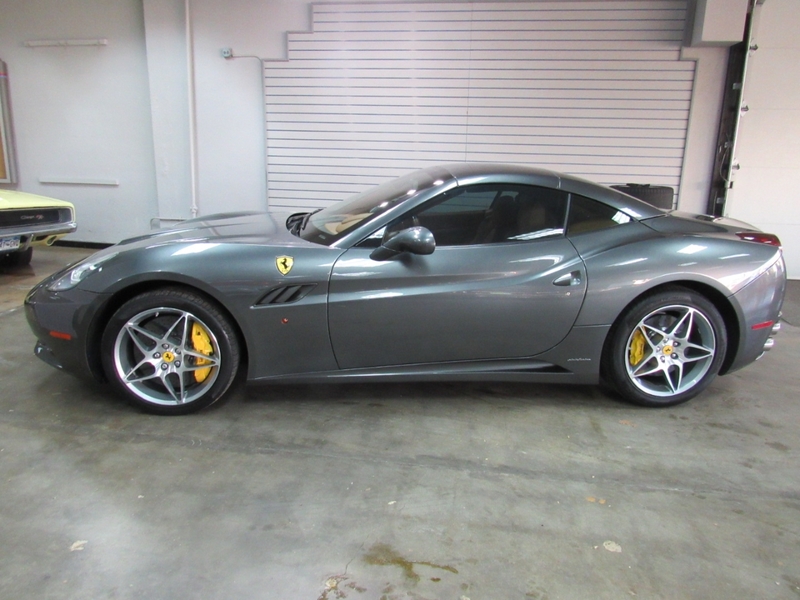 Used 2010 Ferrari California GT for Sale in Denver CO 80220 Weisco Motorcars, LTD.
2010 Ferrari California Convertible with only 24k miles done in Grigio Titanio Metallic over Beige leather. This Ferrari has lot of nice upgrade options like: Scuderia Ferrari shields, Daytona seats, Yellow painted brake calipers, Carbon fiber steering wheel, power top, keyless entry, Navigation, Carbon fiber door sills, and much more. The California has the 4.3L V8 good for 460HP and sounds so good with the top down on a nice summer day. The body and paint on this Ferrari are in very nice shape with no chips in the paint and has a full clear mask for the front and also has clear mask on the door edges, by the gas door, and rear trunk to keep it from getting chips. The inside is also in very nice shape with very little wear at all and no problems with the leather on the dash as it has been in a garage most all its life. Call Weisco Motorcars for more info or to set up a time to stop by for a look over this car (test drives are up to our discretion) this Ferrari will not last long for under $100k. Message: Thought you might be interested in this 2010 Ferrari California.